Walking in Faith: 8/22/08 Bump in the Road. 8/22/08 Bump in the Road. I really was picturing Nevaeh's recovery to be uneventful. Really she has made it thru surgery so all should be great and have no problems. Right? Well not really. Talking to other moms and the nurses and doctors it is a roller coaster ride. You just sit back lower the lap bar and pray you got on the little coaster and not the big one. Nevaeh had her incision closed a little and two heart lines were put in. She was doing well after and all seemed well. 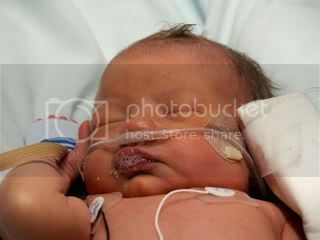 But, Nevaeh's Heart rate went up into the 230's and she lost one of the heart lines they had put in and hour earlier. There was a rush of medical staff to help her. What felt like forever she was stable again and doing well. It is so hard to sit back and watch your baby and be able to doing nothing to help her. You have to put your full trust in the medical staff and pray that God guides them through. So sorry to hear about your scare! I guess sometimes when the roller coaster scares us, we have to just close our eyes, hold on tight and trust in God! We will continue to pray for your family. I know how you feel, Lori. Praying that there are no more bumps in the road. 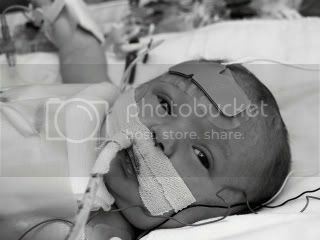 We had an episode while in the PICU with Lilyann. And it is so hard to just sit back and let the drs and nurses take care of your little one. You want to just hold your baby girl and wish all the pain away. Im praying for you..you are in my thoughts daily. Hugs to you both! Guess what?? The mommies from our cafemom group "Moms with Children with heart conditions" nominated you as Mommy of the Week!! Congratulations!! Yuck. 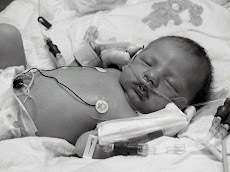 Kate had a lot of problems breathing after her tube came out and even though I tried to prepare for those "bumps in the road" they still are so hard to accept. I hope everything is smoothing over and going better now. And I love all of her cute baby pics you have posted! I think the bumps in the road just make you stronger! I can say that now. I like to think that God trusts us soo much that He gave us these special souls & the journey strengthens us! We had several of these episodes, & to look at her now she looks wonderful! She looks good in her pictures. 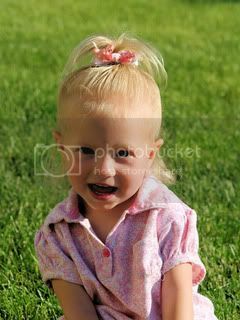 What a precious little one she is! Praying that she gains strength & improves quickly & is in your arms soon! The roller coaster IS hard. Rhett has had many episodes where I have had to just sit back and let the Dr's and Nurses do their job. It hurts that you can't be the one to help your child. Just know that you are doing amazing and soon she is going to be in your arms again, and you are going to breathe that big sigh of relief that you did it!! I love that picture of her. Her eyes are so stunning, and she looks like she has so much to tell. She is such a beauty! Prayers for you and your family. She is so beautiful and strong and those doctors are the best. You and Neveah are in our prayers. Thanks for posting the other pictures. Her eyes are beautiful! Praying for you! I saw Naveah today but did not see you guys. We pray for her and for the peace and strength that is needed to get through these rough times!